Energy Efficient West Virginia is pleased to present a look at our milestones and activities for 2018. It was a year of growth and change. We anticipate 2019 being even more successful. Thanks to our members and advisory committee for their support. Click here to download a copy of the report. Got a question? Email info@eewv.org. Thanks to everyone who participated in our March 21 class in Charleston and took the exam with Building Performance Institute, Inc. (BPI). Sign up for our email list to get updates on our next classes. CHARLESTON, WV – Eastern West Virginia Community and Technical College in Moorefield expects to reduce utility consumption by 40% thanks to a donation of LED bulbs from ZLED Lighting, a member of Energy Efficient West Virginia. Eastern West Virginia Community and Technical College (EWVCTC) recently installed the quad-pin LED bulbs designed specifically for a type of fixture commonly found in schools, hotels, and office buildings. “By replacing the 32-watt inefficient, mercury-filled fluorescent bulb with a more attractive 14-watt LED, Eastern should see its electricity bill decrease by almost half,” said Xavier Walter (center in photo), Outreach and Development Director of Energy Efficient West Virginia (EEWV). Walter helped facilitate the donation from ZLED Lighting, based in Mount Laurel, NJ. 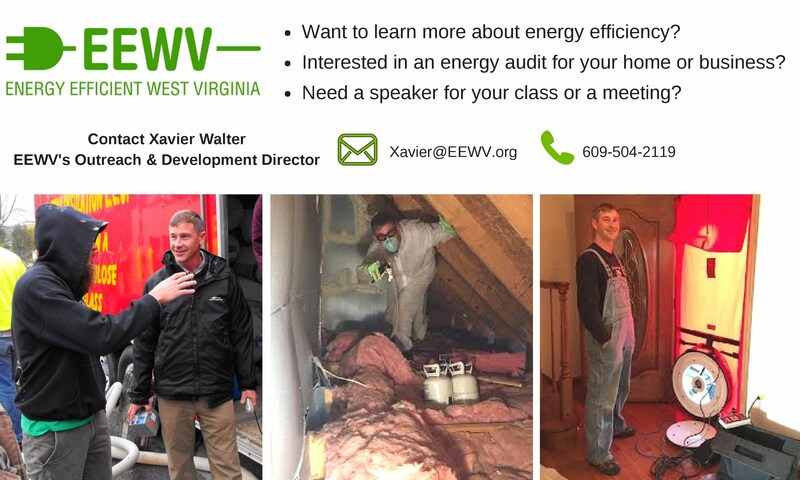 Join EEWV today and bolster energy efficiency in the Mountain State! Electric bills went up dramatically from 2007-2011 and have remained high ever since. Something needs to be done! 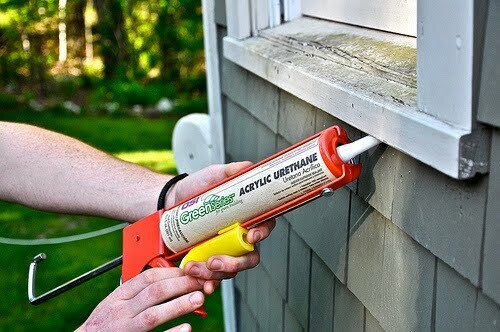 Read our website to learn more and contact us with any questions. Check out the Energy Savings Action Center, by Appalachian Voices -- an online tool promoting home energy efficiency, including information about utility programs, businesses that provide energy efficiency services, and tips for simple home energy improvements. Contact xavier@eewv.org for more information. Find out about free or reduced cost energy assessments that will help your business or building meet your energy management goals. Oct. 19, 2017 - Dan Heyman, Public News Service - Pleasants Power Station Sale Dubbed "Corporate Welfare"
Dec. 21, 2016 - Andrew Brown - Charleston Gazette "First Energy Looks to Shuffle Pleasants Plant"